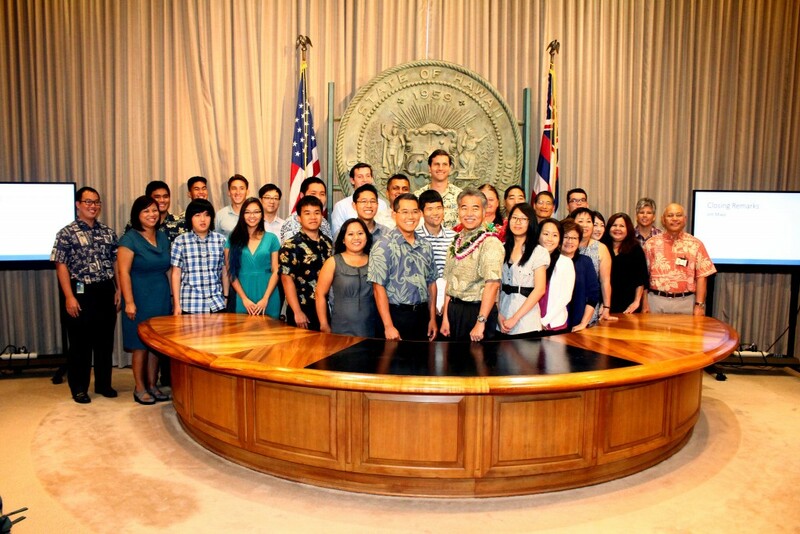 The Summer 2015 TIP cohort closed out their summer in grand ceremonies held in Governor Ige’s offices at the State Capitol today, Aug. 14, 2015. 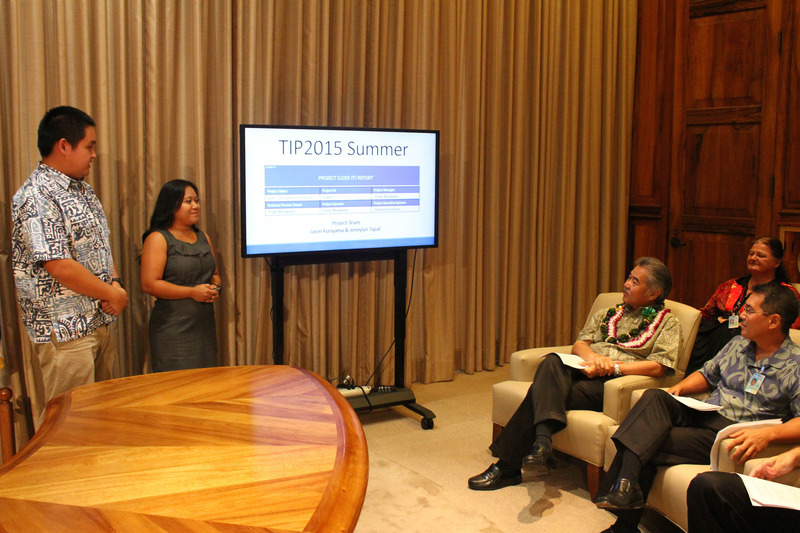 Paperless Project interns — State interns Jaron Kuriyama and Jennylyn Tapat summarize for Gov. David Ige and OIMT IT Operations Officer Jim Miwa the students’ contribution to a Department of Health “paperless” project.